Contains: Water, Glycerin, Hamamelis virginiana (Witch Hazel) Extract, Cetearyl Alcohol, Olus Oil, Butyrosperum Parkii (Shea) Butter, Coco-Caprylate/caprate, Glyceryl Stearate, Cocoglycerides, Tocopheryl (Vitamin E) Acetate, Sodium Stearoyl Gluamate, Ethoxydiglycol, Propanediol, Glucose, Lactic Acid, Achillea Millefolium (Yarrow) Extract, Tussilago Farfara (Coltsfoot) Extract, Betula Alba (Birch) Extract, Rosmarinus Officinalis (Rosemary) Extract, Urtica Diolca (Nettle) Extract, Salvia Officinalis (Sage) Extract, Equisetum Arvense (Horsetail) Extract, Calcium Pantothenate, Inositol, Sodium Benzoate, Potassium Sorbate, Ethyl Alcohol, Caramel, Tartaric Acid, Panax Ginseng Extract, Arctostaphylos Uva Ursi (Bearberry) Extract, Phenoxyethanol, Retinyl (Vitamin A) Palmitate, Aloe Barbadensis Extract, Xantham Gum, Potassium Sorbate, Citrus Nobilis (Mandarin) Oil, Citrus Limonum (Lemon) Oil, Citrus bergamia (Bergamot) Oil, Citrus Aurantifolia (Lime) Oil, Cymbopogon Schoenanthus (Lemongrass) Oil, Cedrus Atlantica (Atlas Cedarwood) Oil, Citrus aurantium (Petitgrain) Oil. Enriched with Aloe Vera and Chamomile, this soothing gel provides a protective barrier to help reduc.. 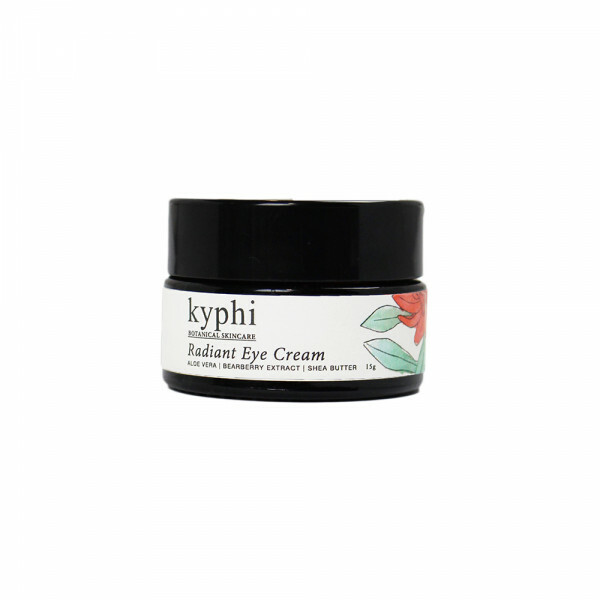 Smooth and soften lips, cuticles and dry skin with this nourishing botanical balm. Exotic Baob..